Write about us! More information here. This week we prepared another great Flash Sale for you! 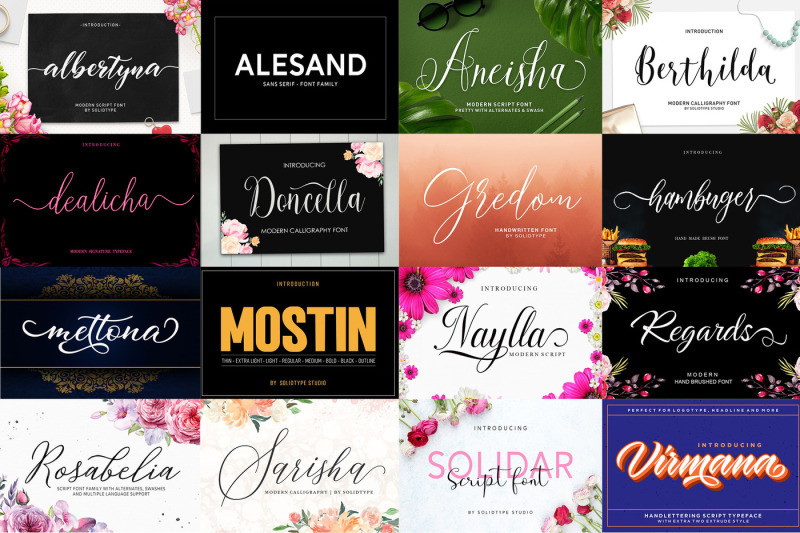 We partnered with Typehill Studio to bring you this collection with 17 fonts that are a must-have! Usually this collection would cost you $194, but only for a few days you can get it at a special price – just $9! That’s $185 that you save! But don’t wait too long, as this bundle is available only for a week! Below are a set of documents which relate to this bundle. They can be viewed by clicking the links below. Please note, they are also included in the download. All products come with our Complete License at no extra cost. provided by TheHungryJPEG.com. Contact us and our team will help you.